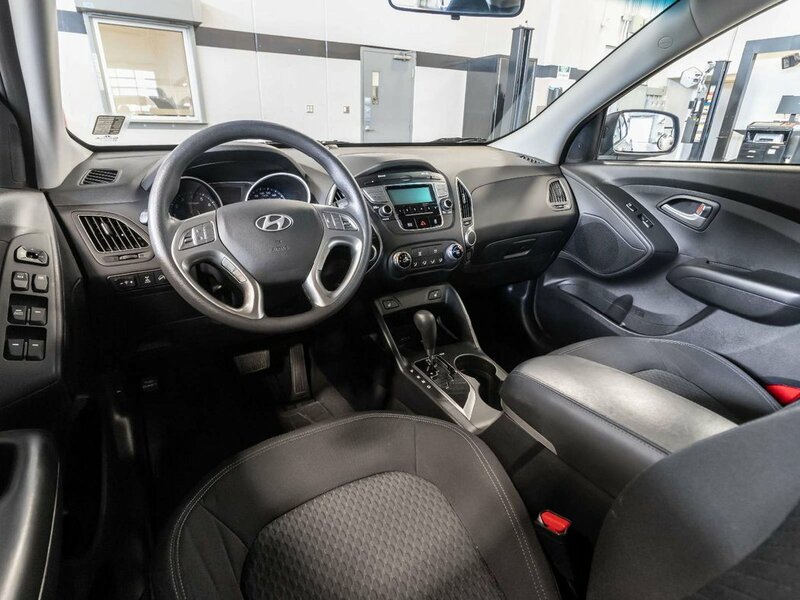 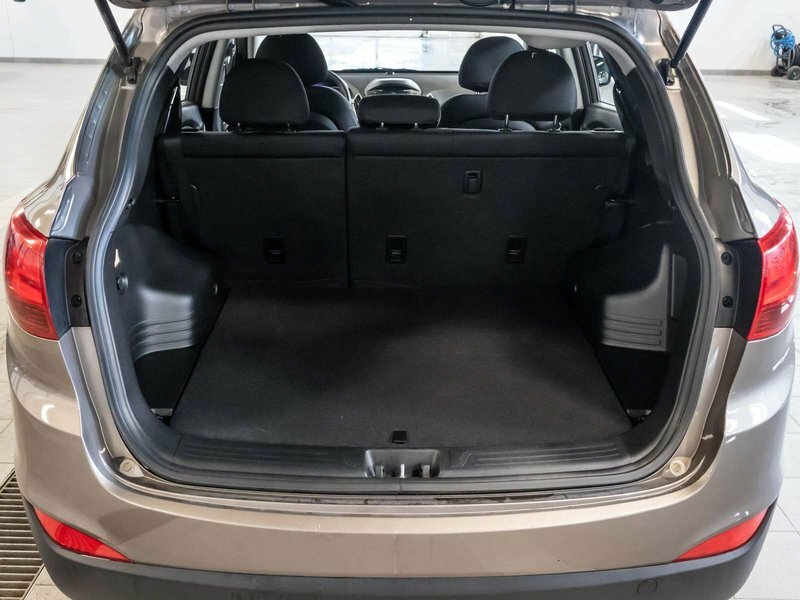 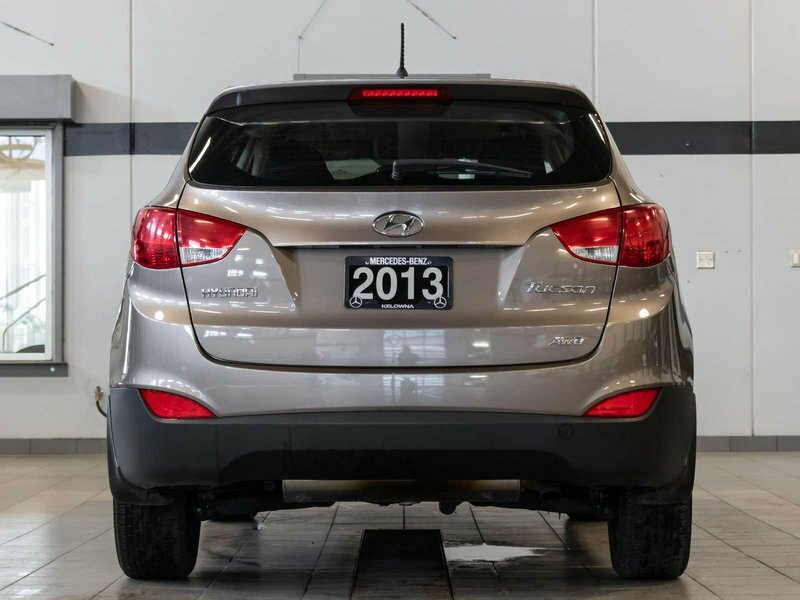 Local 1-owner 2013 Hyundai Tucson GL with all-wheel drive and only 50,152 kms. 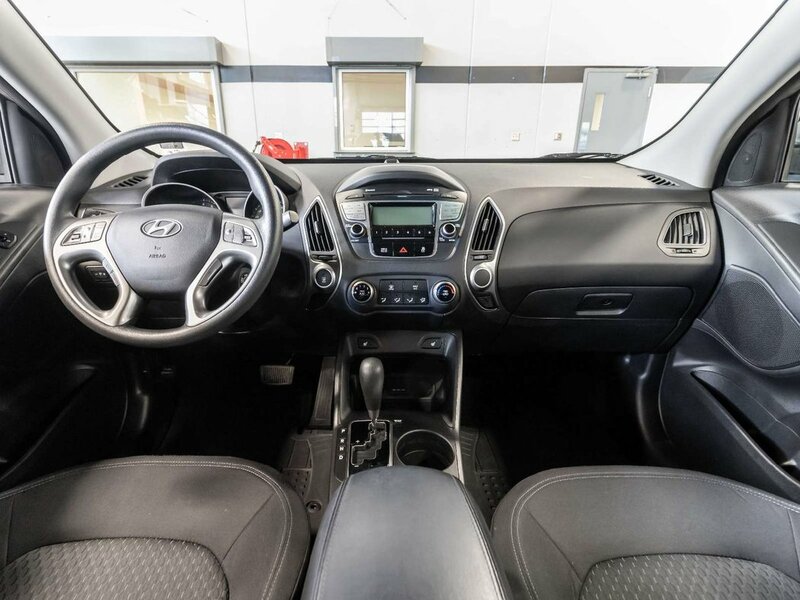 Originally purchased new in August 2012 at Penticton Hyundai and recently traded in here to Kelowna Mercedes-Benz. 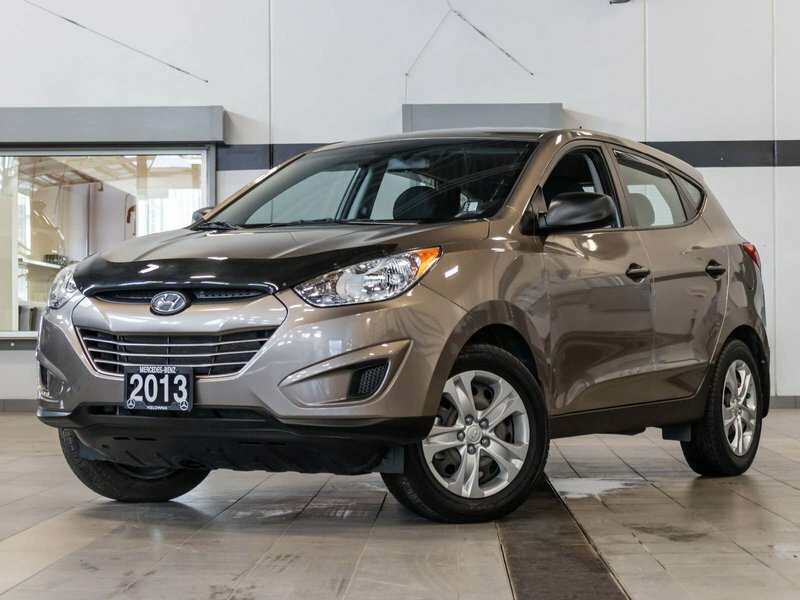 Comes in a Chai Bronze Metallic exterior with Black cloth upholstery, both in very good shape. 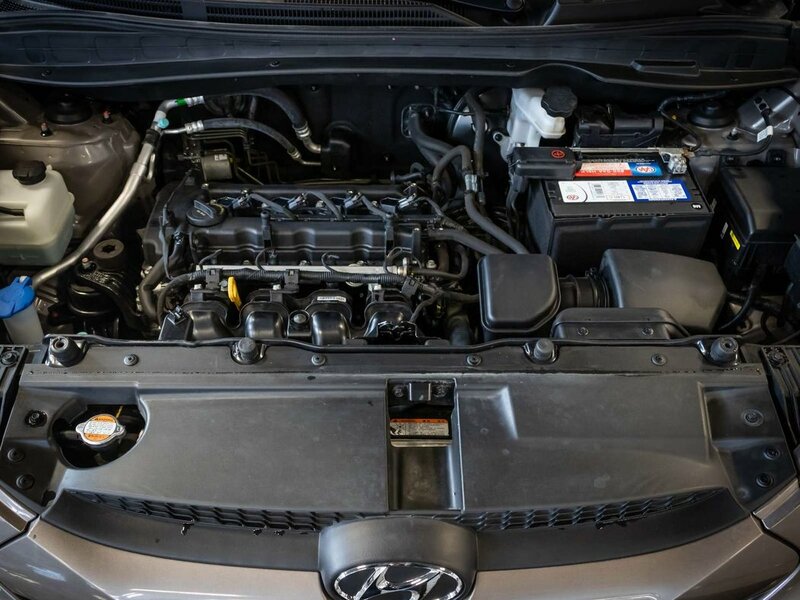 Powering this Tucson is a 2.0L 4-cylinder engine which produces 165hp and 146lb-ft of torque paired with a 6-speed automatic transmission with SHIFTTRONIC and Active Eco System. This vehicle has never been smoked in, and has never been involved in any collisions with a clean CarProof vehicle history report. 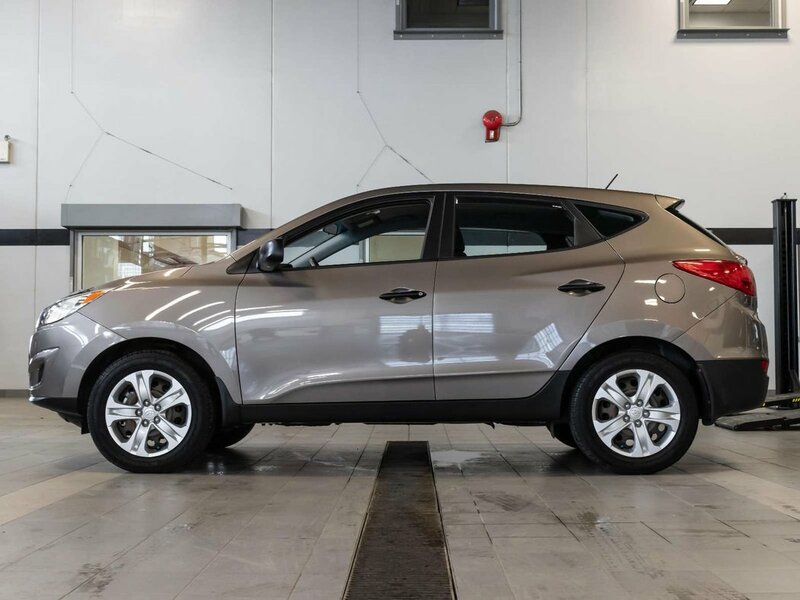 A used vehicle inspection was carried out, and during the process we changed the oil and filter, so this vehicle is all ready to go for its new owners. 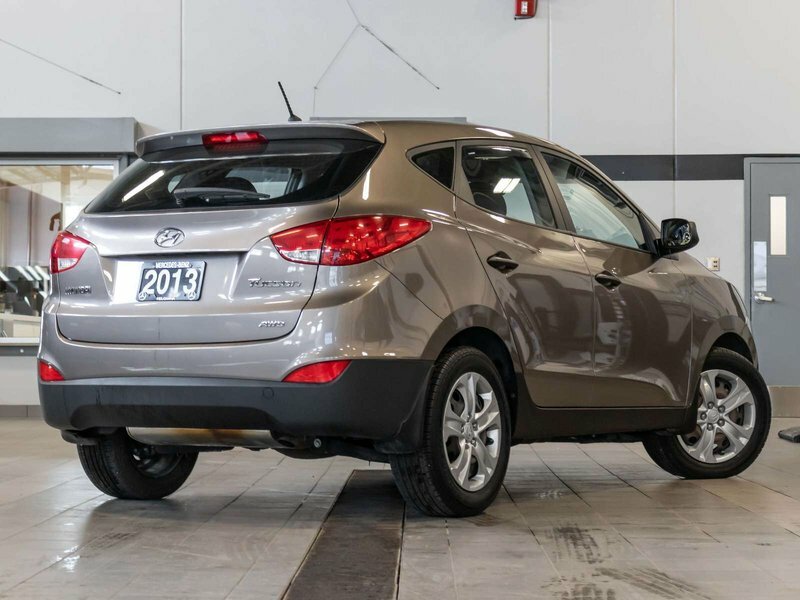 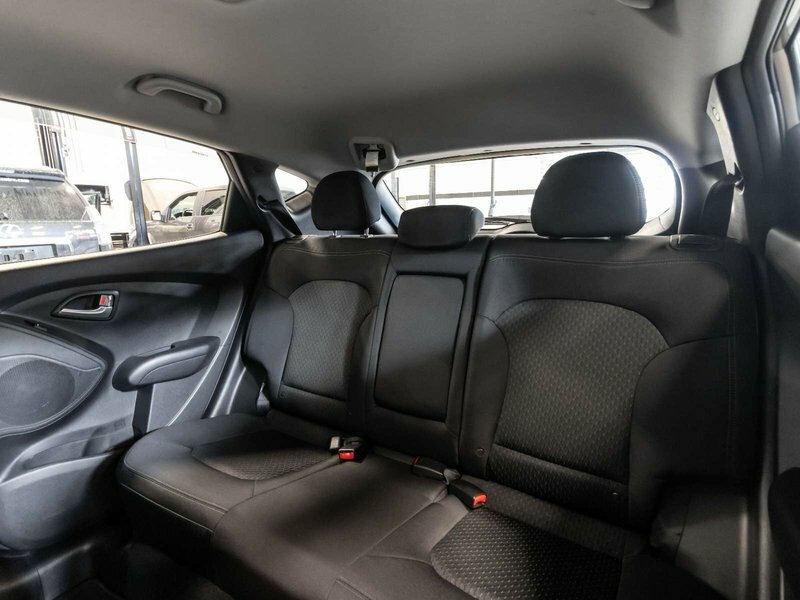 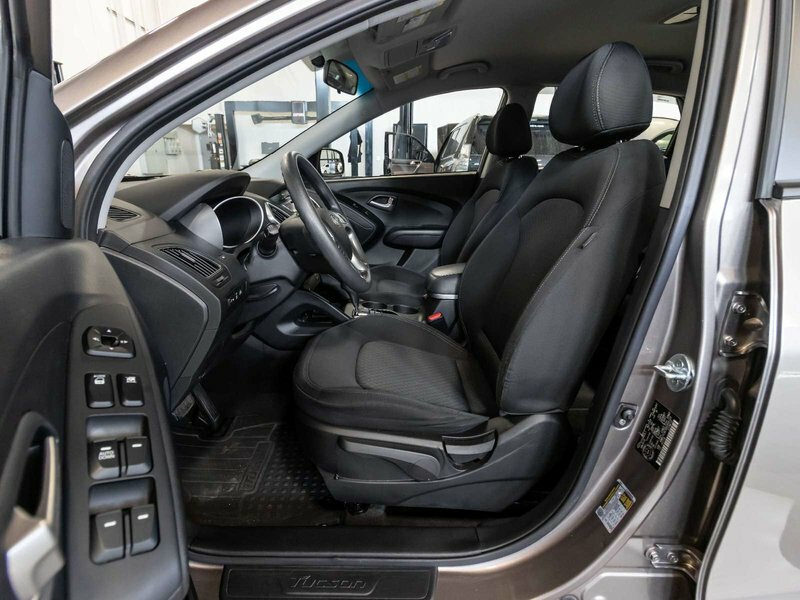 This vehicle was previously used to drive locally around town, and always had its maintenance servicing done on time, leaving this Tucson is exceptional shape. 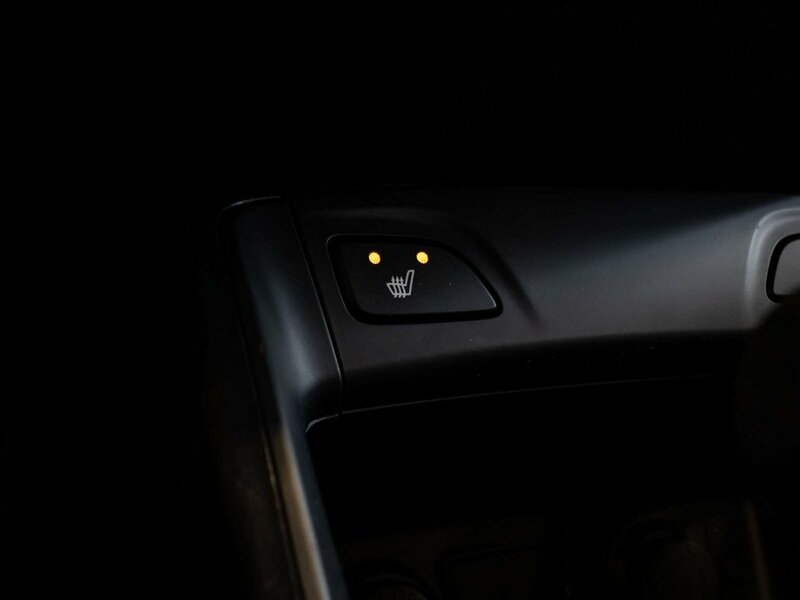 Standard key features include – Heated from seats, remote keyless entry with alarm system, 6-way adjustable driver’s seat, tilt steering wheel, power door locks and windows with driver’s side auto-down, USB/AUX cable ports, hillstart Assist and downhill brake control, Bluetooth compatibility and much more. 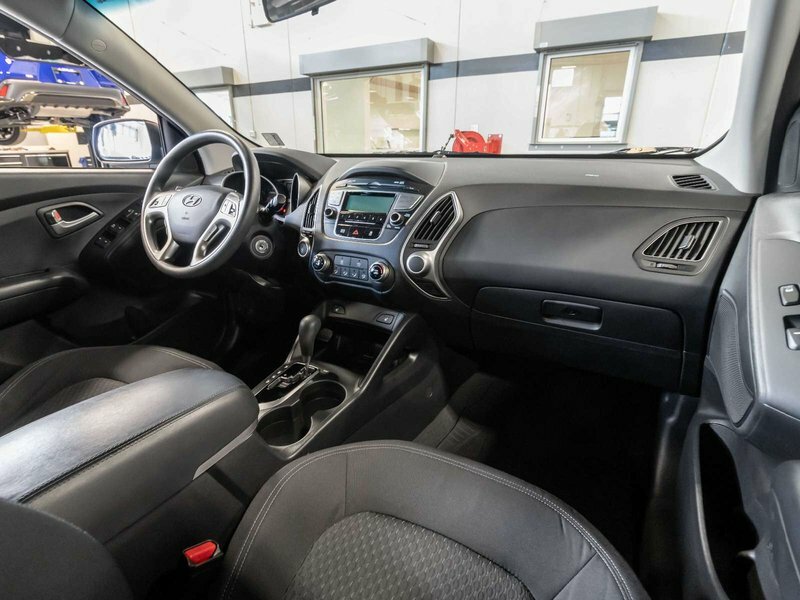 Comes with (2) sets of keys and all original owner's manuals. 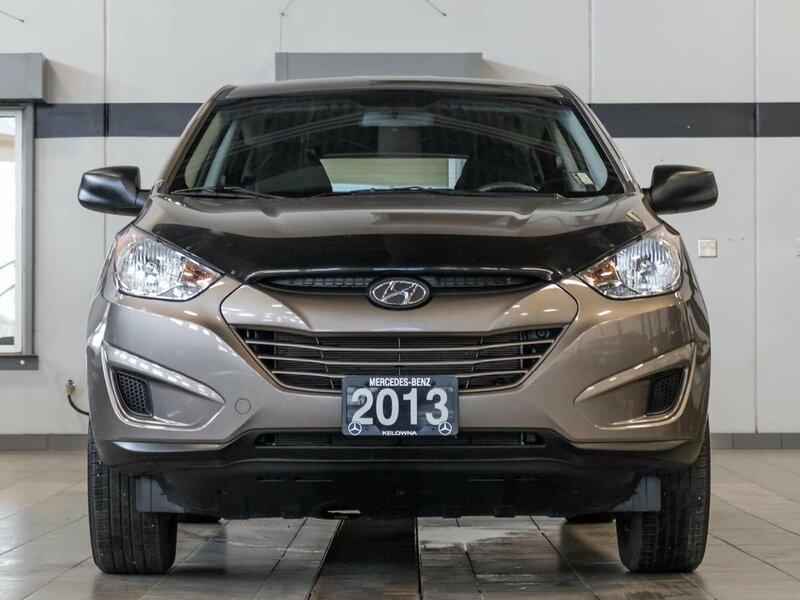 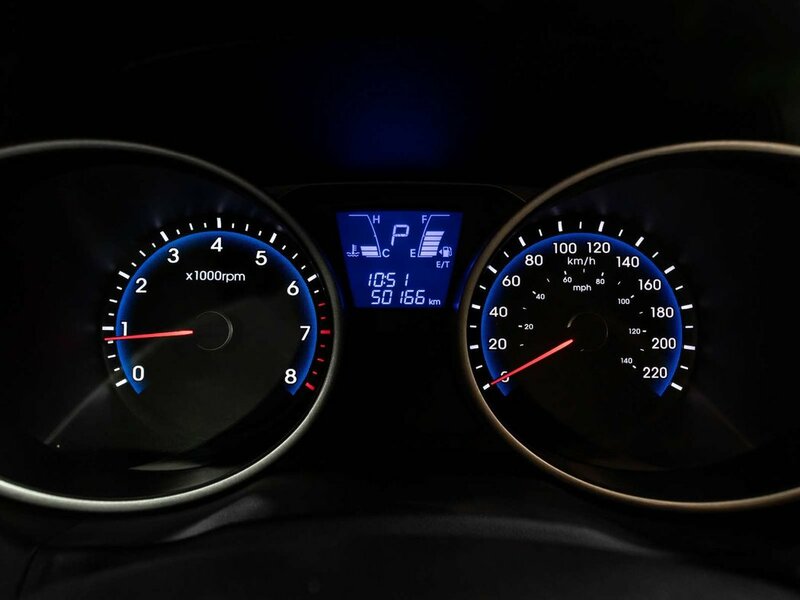 Pre-owned vehicle tax rate is determined by the purchasers home province residence. 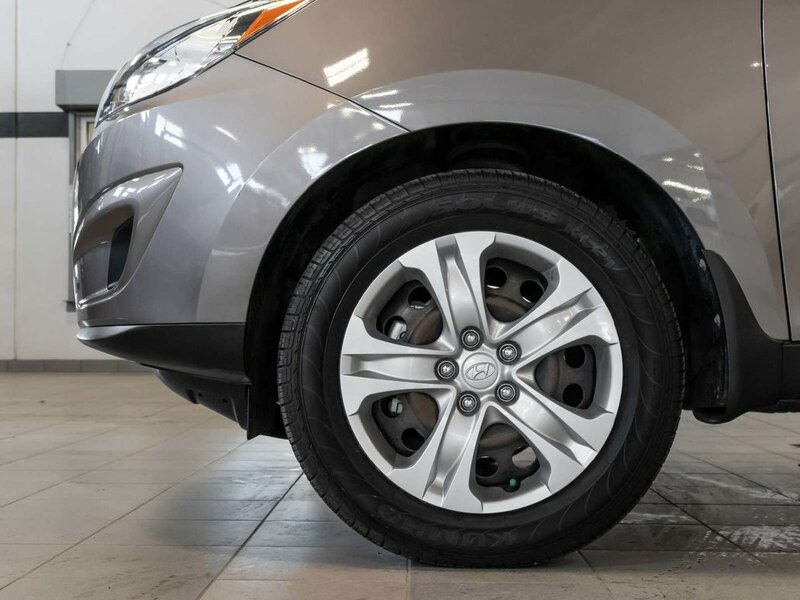 Contact the dealership for your personal video walk-around or any additional information.